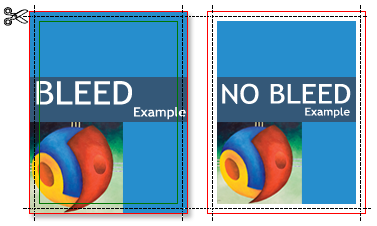 Use of Bleed In Designing: Bleed is extension of design background to get finished cutting line. Bleed is important in design to give final cutting and finish line. In with-background design you need to ensure having minimum 3mm bleed to avoid not printed or white areas. Low resolution or broken pixel images effect printing quality. 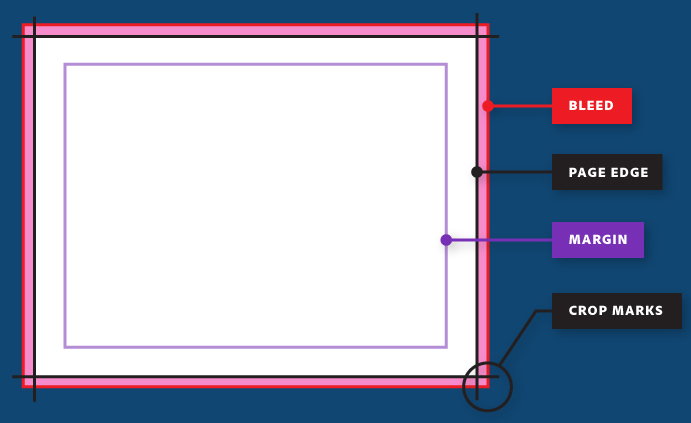 It is important to have your design file bigger or at-least equal to the size of printout. For best results use vector files e.g CDR, EPS, PDF, AI or use high resolution TIFF or JPEG file. 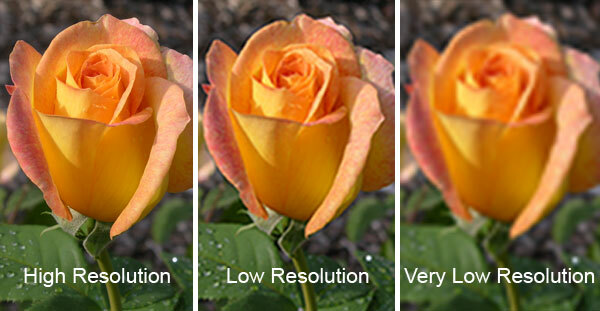 Minimum resolution required for an image file is 300DPI. In case of text in the image use at-least 400DPI resolution or provide text separate in single colour for best results. Outline Or Curve Fonts: Missing fonts in design file is very big and ignored issue. It is important to either supply all fonts with your vector file or is best to just curve or object them in order to avoid having font missing error once opened in different computer. When using vector file you can convert colours from RGB colour scheme to CMYK to get exact idea of how colours should look like after printing. But once supplying us TIFF, JPEG or PSD version of artwork then we do not have access to layers and hence can not change colour tones. 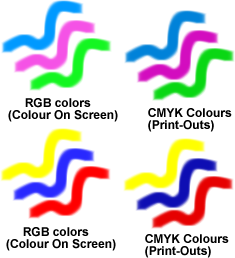 You need to keep in mind the colour shift from RGB to CMYK in images. You can either give us exact CMYK or PMS codes for printing to ensure the final colours you get from printout are exactly as per your requirements. Very small text with coloured outline do not print right. You must try having single colour on small sized text to make them read-able after printing. Text over image do not normally look good unless it is failry visible and in dark colours. Get your art file checked ? GOOD: AI, CDR, EPS, PSD, Or TIFF . BAD: JPEG, PNG, GIF etc.